Through the Gear-Up for Safety Program, families are provided with necessary safety items—Pack ’N Plays, car seats, electrical outlet covers, baby locks, baby gates, carbon monoxide and smoke detectors, and more—to ensure that their homes are safe places for children. In addition, Gear-Up for Safety Program staff members help with the installation of these safety items and provide education and training on safety topics identified by participating families. Does Gear-Up for Safety Program cost anything? No, the program is free and voluntary. Whom does the Gear-Up for Safety Program serve? Families with children from birth to age 14 in Fulton, Cass, Elkhart, Kosciusko, Marshall, and St. Joseph counties. Families with children from birth to age 14 in Adams, Allen, DeKalb, Huntington, LaGrange, Noble, Steuben, Wells, and Whitley counties. Just call (888) 722-3678 and ask for the Gear-Up for Safety Program. You’ll be asked a few simple questions to make sure that the Gear-Up for Safety Program can help you. 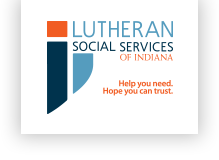 Or, your referring organization can email lmartin@lssin.org. Why should you call to enroll in the Gear-Up for Safety Program?